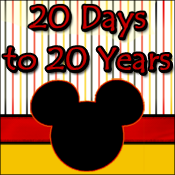 Even though it's Thursday...I'm late for a very important date with Focused on the Magic! 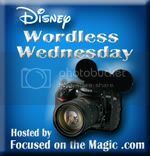 The current theme for the weekly Wordless Wednesday Bloghop is "Disney's Royal Ladies." Goodness there are bunches! Every visit to a Disney park brings you face to face with royalty! Plus, there is the Bibbidi Bobbidi Boutique. You can walk into that place a "commoner" and come out a princess! Whoa! I am going to take you to a different fairy Godmother on this blog hop, though; one who works at the Ivy Trellis Salon located inside WDW's Grand Floridian! It is here, that ladies get the royal treatment in preparation for weddings and other magical events! This is my daughter, as she was transformed from a spunky tween to a lovely princess bridesmaid. She is ready for a wedding AND a dinner at Victoria and Albert's...talk about getting the royal treatment! Thank you for stopping by contribution to the Bloghop! A big THANK YOU to Deb over at Focused on the Magic for hosting! Make sure you check out the rest of the great sites who link up every week! Have a royally good time! Please leave a comment to let me know you stopped by! Oh my pleasure! It's a fun place to get spoiled even if you aren't going to a wedding or Victoria and Albert's! Your daughter looks spunky alright ;-) and very beautiful! What a lovely princess she is too!! V&A on top of the salon?! That is the royal treatment! !